The Wood Mill and Wood Idea have worked together to produce superior quality wide pine flooring starting in 1991, and have shared a home in Mercer, Maine since 1999. In 2013 the companies officially merged to form The Wood Mill of Maine, and continue to produce amazing wide pine flooring. We complete the entire process from buying logs to milling your pine floor in house, and our quality and consistency are unmatched. Widths are available from 7″ to an amazing 20″ wide, kiln dried to 6 to 8% moisture content, with an average length of over 12 feet. When you buy a pine floor from us, you are getting nothing but the best, and our guarantee backs that up. 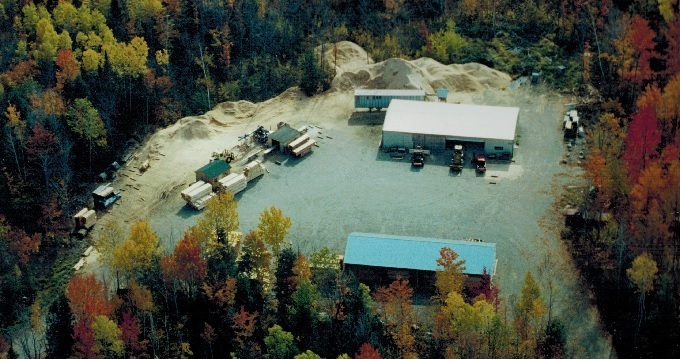 Our mill is located in the heart of Maine, the Pine Tree State, providing us with the highest quality pine trees in America. Our pine flooring is proudly made in America by our experienced team of woodworkers. Wood Idea has been the premier supplier of fine wide pine floors for over 25 years. 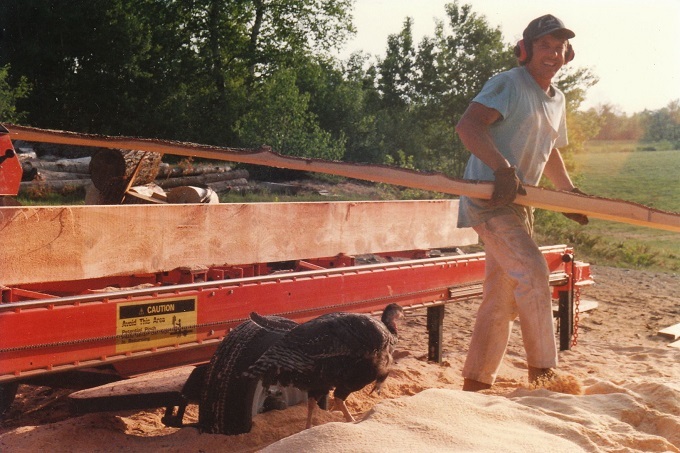 Established in 1987, Wood Idea began when Mychael Bartholf bought a mobile saw mill and oﬀered a product thought to be impossible to produce. Twenty inch wide, sixteen foot long pristine, clear pine boards. 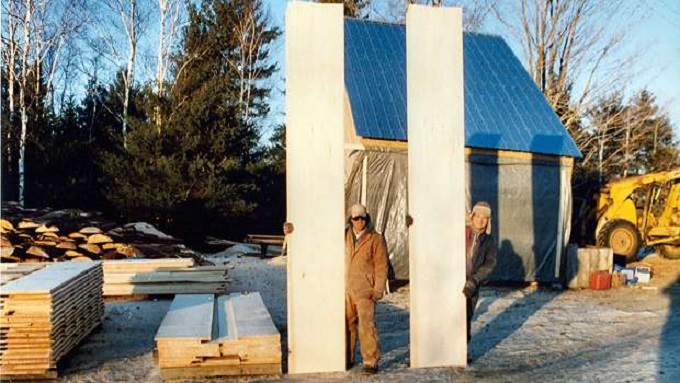 Legend of Myke’s exceptional wide pine boards spread, and through hard work and dedication, Myke became one of the only sawyers specializing in top quality, knot free eastern white pine boards in America. By 1999, Wood Idea had expanded to a level in which it was ready to bring more of the process in house. To do this, Myke wanted to create the premier facility for drying and milling wide pine flooring. This process began by purchasing The Wood Mill, which originated in Livermore Falls as a log home supplier and planing service. Since the moving of that business to Route 2 in Mercer, The Wood Mill has added two dry kilns which are used for drying our wide planks as well as other products. With the addition of the kilns, we are able to control the entire process of making your pine floor, and this allows us to produce the highest quality pine flooring, with unmatched consistency. In 2012 Myke and Sue were ready to retire. Wood Idea was sold to Bjarki Gunnarsson and Josh Saltmarsh( whom has since left the company), Bjarki has carried on Myke’s vision of creating the best pine floors available. Since then, Myke has taken on an advisory role, and still enjoys exercising his expertise in selecting the logs used on our knot free select grade floors. As part of the transition in ownership, the companies were officially combined under one name, The Wood Mill of Maine, and have continued operations otherwise unchanged.